BBC Worldwide North America and Fathom Events announce the return of the longest running sci-fi television series, Doctor Who, to the big screen with a special theatrical event of the 2015 Doctor Who Christmas Special starring Peter Capaldi and featuring the return of Alex Kingston as River Song. The event will be in theaters on December 28 & 29, 2015 at 7:30 p.m. local time and feature an exclusive interview with Alex Kingston, as well as a 15-minute behind-the-scenes “making of” featurette starring Peter Capaldi, Steven Moffat and more. Tickets for the 2015 Doctor Who Christmas Special can be purchased online beginning Friday, November 13 by visiting www.FathomEvents.com or participating theater box offices. The event is expected to show in nearly 300 movie theaters through Fathom’s Digital Broadcast Network. For a complete list of theater locations visit the Fathom Events website (theaters and participants are subject to change). It’s Christmas Day in the future and the TARDIS is parked on a snowy village street, covered in icicles, awaiting its next adventure. Time traveler River Song meets her husband’s new incarnation, in the form of Peter Capaldi, for the first time this Christmas. River Song made her first Doctor Who appearances in 2008 in Silence in the Library and Forest of the Dead and has appeared in 15 episodes to date. 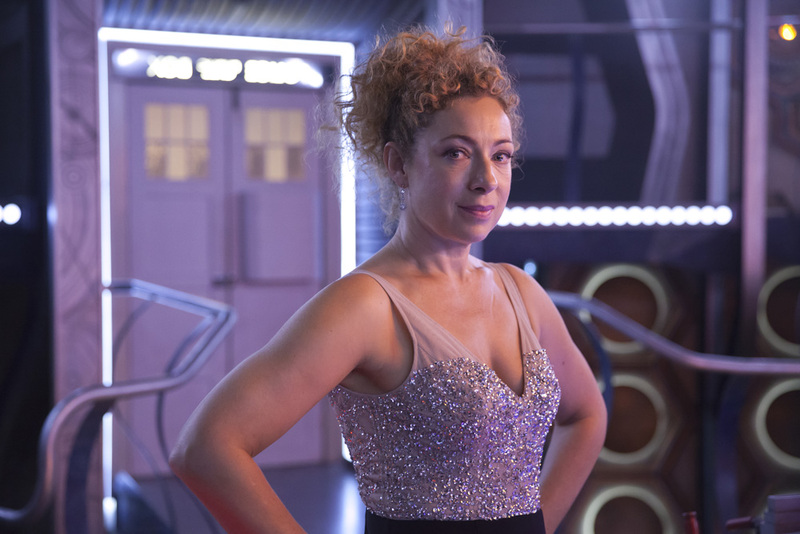 The return of River Song will be an incredible treat for Whovians heading to the theaters this December to celebrate the holiday season with their Doctor Who community. The Doctor Who fans always come out to movie theaters in full force and we expect nothing less for the first-ever big screen showing of the Christmas special. Experiencing this anniversary event as part of a community is the best kind of viewing party! The Doctor Who Christmas Special premieres on Friday, December 25, 2015 on BBC AMERICA.